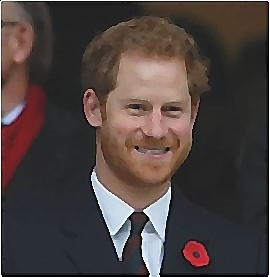 This might be the first public appearance for the couple to be together but the 32-year-old royal arrived alone to place a poppy wreath outside the stadium in South-West London. He sat beside the stunning Princess Charlene of Monaco while watching England’s autumn international game against South Africa. Meanwhile, Prince Harry previously took his former girlfriend Cressida Bonas to an England versus Wales match in 2014. He even sat with her in the stands.